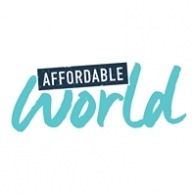 Average rating of 4.6 for all Affordable World trips. A cruise along the dramatic landscapes of the majestic Yangtze River highlights this journey through China´s “Golden Triangle Cities"
Visit the Great Wall, which is one of the man-built architectures that can be seen from the low orbit of the earth. Visit one of the three towns (depending on local river conditions): Shibaozhai, Fengdu, or Wanzhou.Shibaozhai's main attraction is a majestic 12-story tall wooden pagoda, built 400 years ago without use of a single nail. Spend the day free or take the tour to witness the famous "Terra Cotta Warriors." Ride to the beautiful Suzhou, an ancient water village line with canals and nicknamed the "Venice of the Orient", and enjoy the scenic along the way. Visit Shanghai Museum and view the exhibits of ancient Chinese art. See Xian is one of the Four Great Ancient Capitals of China with more than 3100 years of history. Enjoy the tour to witness the famous "Terra Cotta Warriors"
Visit the Shanghai Museum and view the exhibits of ancient Chinese art. Stunning scenery of the Andaman Sea by taking our optional tour to Phi Phi Island.